This is a special exclusive bird watching luxury safari only offered by African Wildcats Adventure Safaris. It is only offered between June 1 and September 15. The guide is Hamadi Njoroge, founder of AWCAS. He was trained in ornithology at Utalii College of Tourism and the Kenya National Museum. He holds a bronze license from the Kenya Professional Safari Guides Association. Depart Nairobi for Serena Mountain Lodge. Overnight at Serena Mountain Lodge. Take a nature walk up the foothills of Mount Kenya, an extinct volcano and the second highest mountain in Africa. Like the Aberdares, Mt Kenya is an important water catchment area since the area not only has snow covered peaks but also very high rainfall. 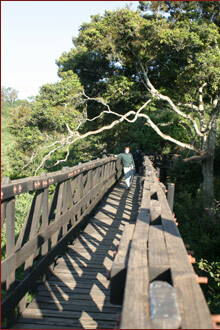 The habitat is a mix of rain forest, bamboo, open woodland, scrub, moorland as well as the high altitude rock peaks. It has a number of globally and regionally threatened species some of which it has in common with the Aberdares, but it is also home to the Lesser Kestrel, the Purple-throated Cuckoo-shrike and is one of the few remaining areas in Kenya where the Lammergeier can still be seen. If you’re lucky large numbers of raptors can be seen either in the trees or circling overhead. Bronze-naped and green pigeons come down to the waterhole and take advantage of the natural salt-lick, and we’ve also seen Grey-headed Negrofinch and Montane Oriole there. At night a number of sandpipers and other waders visit the waterhole. It’s also the only place in Africa that an American Spotted Sandpiper has ever been seen (just once, in September 1999). Depart Serena Mountain Lodge for Samburu. Arrive at Samburu Shaba in time for lunch. The three reserves found in Samburu were established with the assistance of the family of Joy Adamson, a renowned conservationist. Over 350 species of birds can be found in these reserves. 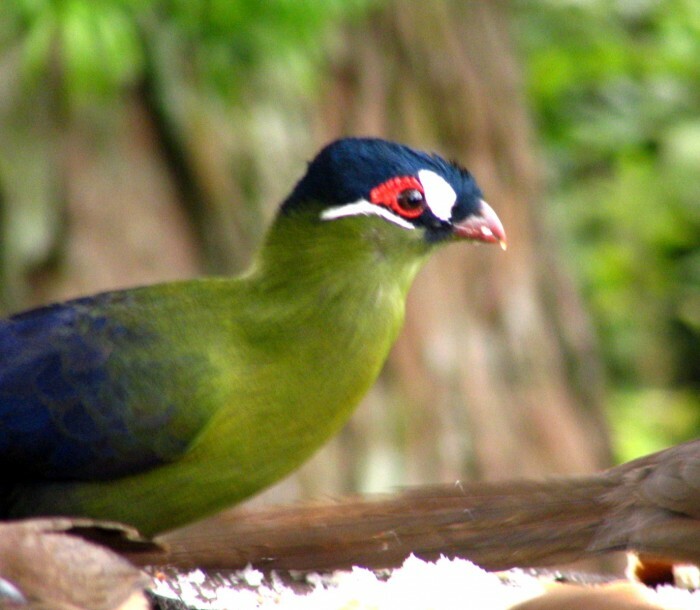 These include the white browed coukal, the emerald breasted wood dove, and the long tailed starling among others. Bird Viewing Game Drive. Some of the birds which may be seen in the samburu area include the Bristle-crowned Starling, Vereaux’s Eagle-owl, Night Heron, Palm-Nut Vulture (sometimes called the South African Fish-Eagle) and Pygmy Falcon; Verreaux’s Eagle can be seen soaring over the hills in the park and Samburu/Buffalo Springs is also one of the best places to see Donaldson-Smith’s Sparrow Weaver which is fairly common in some locations. Samburu Shaba. Birdwatching Game Drive to Buffalo Springs National Park. Visit the famous buffalo springs swimming pool. This is a natural spring fed pool surrounded by Doum palms and rare wildlife such as the reticulated giraffe and grevy’s zebras, the blue necked Somali ostrich, and finally, both the yellow and red billed hornbill. Depart Samburu for Lake Baringo with picnic lunch. Arrive at Lake Baringo early evening. Overnight at Island Camp. Game Drive to nearby Lake Bogoria. Lake Bogoria is famous for its volcanic hot springs and steam plumes which are created by the seismic activity in the Great Rift Valley. Lake Bogoria is dominated by countless hot springs which pour boiling water into the sterile lake. Massive flocks of Lesser Flamingos that flood into Bogoria each year. Greater Famingo are also present, sometimes in the thousands, and Black-necked Grebe are usually present. Steppe Eagles, Fish Eagles and Tawny Eagles are present in amazing numbers. In fact, at times the eagles are so numerous you can see 8 or more in a single tree. Bogoria is also one of the places in Kenya which offers a reasonable chance of seeing the Greater Kudu.Lake Baringo will be visited in an afternoon boat ride. Lake Baringo is part of the Great Rift Valley, the Earth’s great scar, which in Kenya is fringed by a string of lakes. After the huge Turkana, Baringo is the northernmost and the largest of these lakes, with 130 k. Together with Naivasha, Baringo offers the only freshwater shallow in the Kenyan Rift.The lake is not officially ranked as a protected area, but it is the shelter for more than 400 bird species that give the area its main attraction. The lake is -or used to be- a quiet and solitary oasis embedded in the abrupt and arid land that foresees the northern deserts.Lake Baringo’s fresh waters host a fish variety absent in the alkaline lakes, which attracts a broad range of waterbirds. The rocky isle of Gibraltar, at the eastern shore, is blessed with the largest Goliath heron population in all East Africa. Another place of interest is the escarpment which lies next to the town of Kampi ya Samaki, at the western shore, where a lucky watcher could find Verreaux eagles, Hemprich’s hornbills and bristle-crowned starlings.More than 470 species have been recorded at Lake Baringo in total, and more than 300 have been recorded in a single day. While you’re unlikely to see all 470+ species in a short visit, there are plenty of birds to be seen even by novice birders. Pale and dark phase Gabar Goshawk, Paradise Flycatcher, African Fish Eagles, Marabou Storks, Shikra and White-faced Scops Owl are amongst the regular sightings, while some the less common birds that can be seen there include Hemprich’s Hornbill (along the cliffs), the African Darter and occasionally the African Skimmer. Depart to Lake Nakuru. 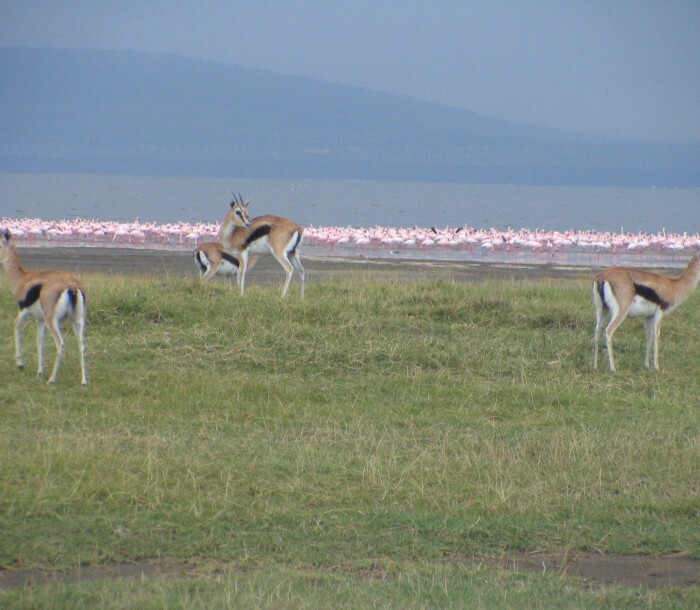 At Lake Nakuru, clients will stay either at lake Nakuru lodge or Lion Hill Lodge. 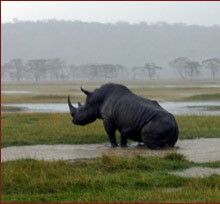 Clients will be taken on a game Drive at Lake Nakuru National Park. According to the Kenya Wildlife Service, Lake Nakuru was first gazetted as a bird sanctuary in 1960 and upgraded to National Park status in 1968. A northern extension was added to the park in 1974 and the lake was designated as a Ramsar site in 1990. The foundation of the parks food chains is the cyanophyte spirulina platensis which can support huge numbers of lesser flamingo. At Lake Nakuru, we will see the Flamingo (Greater and Lesser) and other water birds including a variety of terrestrial birds numbering about 450 species in total.Lake Nakuru was the first place in Africa to be designated a National Park primarily because of the birds. 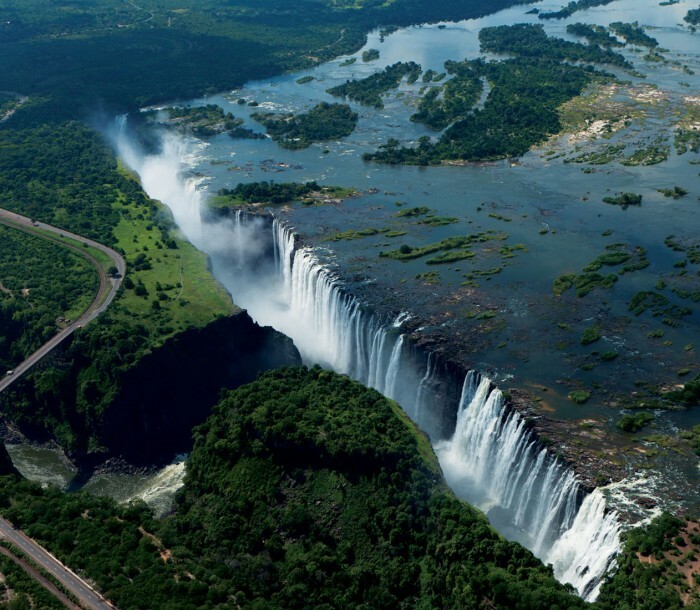 It has a comparatively low concentration of salts and it also supports a fish population. As a result the wildlife is very different although, in common with the other soda lakes, Nakuru is home to a very large population of Flamingos which go there to feed. It is a marvelous place to see a wide range of waders including Avocet, while large rafts of Pelican can also be seen sweeping the water in unison. Depart to Lake Naivasha. Clients will overnight at the the Naivasha Country Club or somewhere of comparable quality. Clients will be treated to a boat ride to Crescent Island. At 1880 metres above sea level, Lake Naivasha is the highest of the Rift Valley Lakes. It is the second largest freshwater lake in Kenya and one of only two freshwater lakes in the rift valley, the other being L. Baringo. Lake Naivasha is unusual in having no known outlet. The lake edge supports dense vegetation which, in turn, supports a thriving bird population including the Grey-capped Warbler, Spectacled Weaver, Brimstone Canary and Red-billed Firefinch. Many species including fish eating birds such as pelicans, herons, storks and kingfishers are resident throughout the year. However if there is one bird which characterises Lake Naivasha, it would have to be the African Fish Eagle. All told the area has a bird list of over 350 species. Clients will take a boat ride to Crescent Island. Crescent Island is a private game sanctuary, which is home to zebra, wildebeest, gazelle, vervet monkeys, hares, genet cats, waterbuck and giraffe. The island is less than a 15 minute boat ride from the hotel. There are no fences and no predators and it is one of the few places in the world where one can wander on foot amongst wild animals. After breakfast, walk around the shores of Lake Naivasha. Return to Nairobi. End of safari.